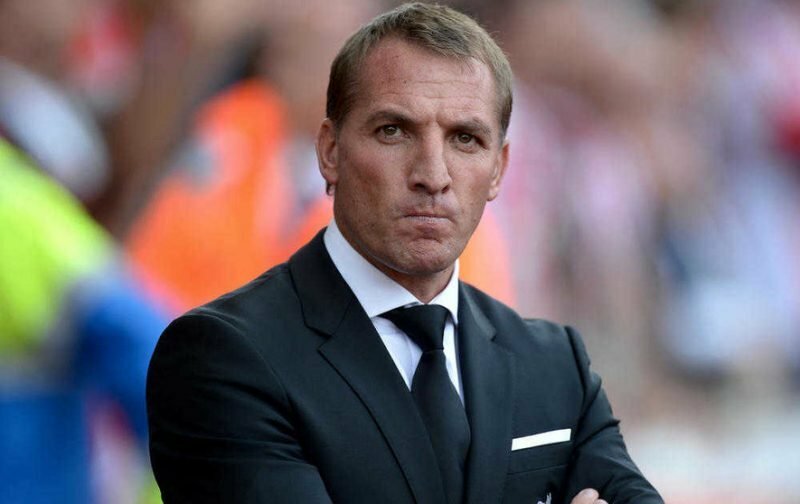 Brendan Rodgers Is At The Centre Of Two Absolute Non-Stories Today. You know the worst thing, the very worst thing, about national titles having to move online? The amount of crap – unadulterated, unfiltered, total, choking crap – that they have to publish day after day after day to maintain some illusion of readership. And this is true whether it’s a trashy tabloid or a big broadsheet. Their websites are loaded down with absolute non-stories. The broadsheets are more dangerous in that their political coverage features the same voices, sending the same message, over and over again. The Guardian, our so-called liberal paper, is as obsessed with antisemitism in the Labour Party as certain Sevco fan sites are with child abuse. They claim this is a monumental problem, yet the complaints come from the same small number of MP’s and insiders, all of whom were already united in hating Jeremy Corbyn. They’ve certainly tried to make it look a monumental problem, but a lot of folk ain’t buying. The sports media is less insidious, but its journalists are far lazier. Reading some of their content reminds you that clickbait isn’t confined to the blogs. They publish every transfer rumour no matter how ridiculous. They focus on fluff. They try to make stories where there are none. They twist words to get the ones they want. And they can always find someone willing to give them a quote which they can turn into a headline which gets hits. Two such examples today, both on Brendan Rodgers. The first is in The Daily Record, where they quote Danny Murphy, ex Liverpool, a good pal of Gerrard’s and now currently a minor pundit in England. It’s in his interests being in the news every day, and he’s twigged to what so many have. When you talk about Brendan Rodgers leaving Celtic you have newspapers up here more than willing to let you, and take your message forth. Brendan’s feet were made of clay just a month ago, don’t forget. Now, with the Sevconites put back in their box for a wee while the media wants us to focus on the looming darkness of the manager’s inevitable departure. All very predictable. “I’m convinced he’s destined for a job back in the Premier League at some point in the not too distant future,” Murphy said in a BBC interview. Cue an explosion of headlines. One man’s opinion, blasting forth from every national title; The Daily Record has actually lifted BBC Scotland’s coverage of it and reproduced it word for word. The height of lazy journalism, the pit of stirring the soup. Not a single Celtic fan who read that can be thinking “Oh my God, Brendan will leave us one day …” because every single one of us has been aware of it since he walked through the front door at Celtic Park. Not a single Celtic fan believes he will go anywhere other than the EPL. The only issue is the timing, and if the club sorts itself out and solves those internal issues which blighted it during the last transfer window that won’t be until his current contract is up. As bad as the headlines over this complete non-story are, they pale next to The Evening Times’ version of journalism today, a story of how Celtic fans are worried because Brendan Rodgers name is trending on Twitter. I kid you not. They have produced a couple of tweets to that effect – most of them with tongue heavily in cheek – and somehow crafted a story out of it. This is the weakest attempt at finding a story where there is none that I’ve seen in a long time, perhaps since STV’s notorious article praising a Sevco signing based on his Football Manager stats. Talk about scraping the bottom of the barrel. But this is Scottish sports “journalism” now. This is what it looks like in the era of social media where filling column inches no longer matters but a constant stream of “news”, even manufactured guff, is everything. Forget credibility, this is who they are now.